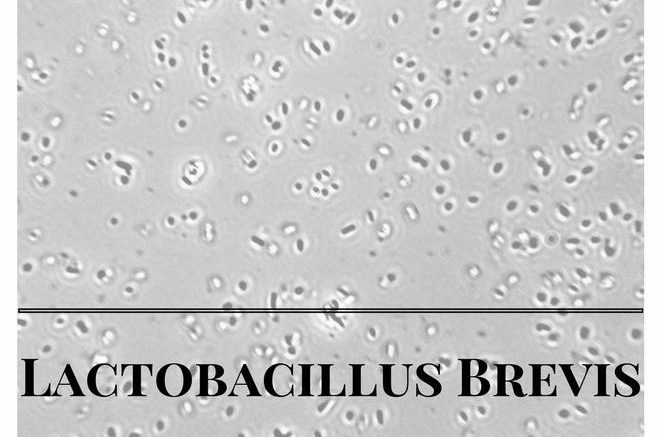 Does the name Lactobacillus brevis ring any bells for you? If so, then you are most likely well acquainted with probiotics and what they can do to improve your health in a simple and organic fashion. The fact of the matter is that other bacterial strains such as Lactobacillus acidophilus and Lactobacillus casei are much more widely recognized nowadays as a result of them being used in various dairy products (such as natural yogurts, for example) and dietary supplements than Lactobacillus Brevis has been. The question therefore arises: if this probiotic is part of the same genus (Lactobacillus), does it not deserve the same ‘limelight’ exposure as its other bacterial counterparts? Let us answer this dilemma together by discovering exactly what Lactobacillus Brevis represents, how it works as a probiotic in favor of human wellness, and where you can currently find it on the international market. It is no secret that people have started resorting more and more to probiotics in order to boost their sense of wellbeing without that much effort or even safety concerns involved. After all, probiotics do constitute a natural part of the human organism! These ‘good’ microorganisms usually reside within the gastrointestinal and urogenital systems, where they create mutually beneficial relationships with the local microbiota. This symbiotic link then translates into regular digestive patterns, better bowel motility (and subsequent vitamin and nutrient assimilation), more noticeable abdominal comfort, and highly improved lactose tolerance (through a radically simplified carbohydrate metabolism). Lactobacillus Brevis represents one type of such beneficial organisms generally found at the level of the gut and vaginal systems. It was first isolated as a separate probiotic strain at the beginning of the 1920s when three specialists (J.A. 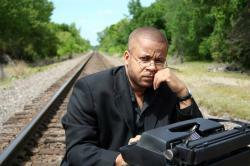 Anderson, E. B. Fred, and W.H. Peterson) fulfilled the seemingly daunting task of determining and separating the characteristics of the entire Lactobacillus genus. In the case of Lactobacillus Brevis, they revealed the existence of 16 distinct strains that could generate considerable amounts of mannitol (then used to produce lactic acid), acetic acid, and carbon dioxide. This ‘good’ bacterium has also been associated with glucose transportation within the organism, which it partially converts into fructose on its own during specific metabolic processes. The biological characteristics of Lactobacillus Brevis classify it as a non-spore forming, lactic acid bacteria that can be found within animal sources (mammals primarily) and in cereals (hop, for instance) or dairy (whey, kefir grains, cheese, etc.). Yogurt manufacturers frequently rely on Lactobacillus Brevis so as to create their dairy assortments because this Lactobacillus genus member exhibits a great potential for lactic acid production, therefore transforming milk sugars and aiding the maturation process of said products without spoiling them in time. The situation is different in the case of beer, for instance, where excessive cultures of Lactobacillus Brevis can eventually end up spoiling the batches completely. Due to its same fermentative capacities, Lactobacillus Brevis has often been considered the go-to starter culture when it comes to pickled vegetables of all sorts. A brine base (water plus salt) is the ideal environment for these probiotic colonies to thrive and create both a flavourful and healthy end product. Potent vinegar concentrations kill off the ‘friendly’ organisms in time, which is why they are not recommended for probiotic survival; the same goes for pasteurization (heat treatment) of the pickles because probiotics cannot withstand such high temperatures in the first place. Consuming these and other probiotic-filled foods such as sourdough bread, wine, beer, and cured meats should restore your body’s own CFUs (colony forming units or the number of live bacteria present in your gastrointestinal tract at any given time). 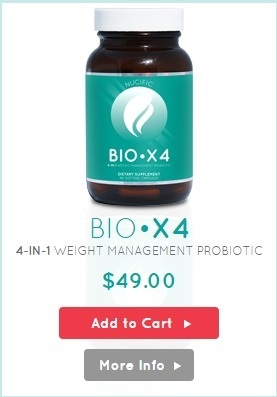 Incorrect dietary regimes, stress, and certain medicine varieties have a tendency to diminish this probiotic count, with external supplementation becoming necessary so as to maintain your ‘good’ bacteria (Lactobacillus Brevis included) within normal levels. Speaking of medication, you should also know that Lactobacillus Brevis can help in the case of prolonged antibiotic treatments that lead to instances of visceral pain and severe diarrhea episodes. While regular antibiotics kill intestinal microorganisms without distinguishing the ‘bad’ from the ‘good’ ones, probiotics like Lactobacillus Brevis actually target only the pathogens by inhibiting their development and quite literally attacking them with small doses of hydrogen peroxide, for example. Consequently, probiotics exhibit considerable antiseptic properties which contribute to the correct management of a number of immunomodulatory functions such as inflammatory and allergenic responses, gastric and intestinal infections, as well as urinary and genital imbalances. Probiotics extend their positive impact well beyond these mediums and can even be extrapolated to other health benefits including cardiovascular wellness, skin rejuvenation, and even improved mental stability (via the brain-gut axis, which closely interlinks your neurological system and digestive tract). Why Lactobacillus Brevis matters for your health? It goes without saying that probiotics are a crucial part of any well-balanced organism, but what are the particular advantages that Lactobacillus Brevis brings to us? Firstly, Lactobacillus Brevis behaves like any ‘good’ probiotic bacterium should in terms of gastric, intestinal, and bowel movement regularity. Through its increased creation of lactic acid and normalization of said substance within the gastrointestinal tract, Lactobacillus Brevis is able to simplify milk digestion and hence ameliorate the symptoms otherwise generated by lactose sensitivity or intolerance (bloating, gas, cramping, constipation and/ or diarrhea, etc.). One distinct characteristic linked to Lactobacillus Brevis is its role in metabolic activities related to glucose. By boosting the fermentation process of fructose and glycerol, this probiotic both enhances and facilitates the production of glucose within the body. Studies show that Lactobacillus Brevis is, in fact, an active factor in glucose regulation, which therefore leads to better management of energy levels, weight, and could even delay the onset of diabetes in certain individuals. As previously mentioned, another valuable aspect pertaining to Lactobacillus Brevis is its antiseptic behavior in the face of various kinds of immunity threats. Research reveals that this ‘friendly’ type of microorganism can help build a strong anti-pathogenic screening at the level of the gut. This can be done beginning with the early stages of infancy by shielding the body against ‘bad’ bacteria such as rotavirus, Salmonella, and Escherichia coli, which most often than not allow for the development of prolonged episodes of diarrhea (especially in small children, who are in the middle of probiotic colonization). The germicidal properties of Lactobacillus Brevis are achieved through its natural production of hydrogen peroxide and lactic acid, which inhibit the overgrowth of microbes, viruses, fungi, and protozoa, as well as their translocation into other areas of the organism. In addition, Lactobacillus Brevis has been shown to positively impact the production of cytokines within the gut and thus stimulate your body’s own immunomodulatory reactions from the inside. Helicobacter pylori infections are an equal source of discomfort regarding gastrointestinal wellness because they are highly resistant to adverse conditions (by adhering to the local gastric lining) and subsequently inducing of side effects such as ulcers, gastritis, severe lack of appetite, and extreme halitosis (bad breath). Luckily enough, some experiments agreed upon the fact that Lactobacillus Brevis supplementation can help traditional forms of treatment both eliminate and prevent the colonization capacities of Helicobacter pylori bacteria. Moreover, the positive influence of Lactobacillus Brevis extends beyond the gut into other seemingly ‘unlikely’ areas of the organism. For example, a 2008 study focused on the amelioration of alcoholic liver damage discovered that Lactobacillus Brevis enhancement significantly contributed to lowering cholesterol readings at this level, as well as preventing further degeneration of liver cells in time. Surprisingly enough, investigations uncovered a direct connection between Lactobacillus Brevis and a normalized level of gamma-Aminobutyric acid (or GABA receptors, for short). High readings of this substance are thought to be responsible for extreme nervous excitability, anxiety, and other mental imbalances. The anti-depressant role of Lactobacillus Brevis is, therefore, a reflection of its GABA acid regularization, as well as a testimony to the importance played by the brain-gut axis to your overall health in general. Fermented vegetables – in order to get your Lactobacillus Brevis intake, aim for fermented veggie combinations like sauerkraut, brine olives, and pretty much any kind of pickle assortment you can think of that’s available on the market. Additionally, Asian cuisine offers us another segment of probiotic-filled dishes such as Kombucha tea, Natto, Miso soup, Kimchi, Umeboshi plumbs, etc. Dairy products – as mentioned before, Lactobacillus Brevis is fermentative-boosting probiotic generally used as a starter culture for numerous dairy products. Consequently, it can be found as a founding part of natural yogurt, cheese, kefir, buttermilk, etc. The only issue in this instance would be that of pasteurization (which kills off the majority of bacteria, regardless of its beneficial or damaging nature), meaning that you should be on the lookout for products that are either not thermally treated of infused with probiotic cultures before being commercialized in stores. Lactobacillus Brevis supplements – these come in a variety of shapes, sizes, and potencies (determined by their number of CFUs or colony-forming units). Lactobacillus Brevis enhancers can be found in a single or mixed strain blend, as well as with numerous price-quality ratios. 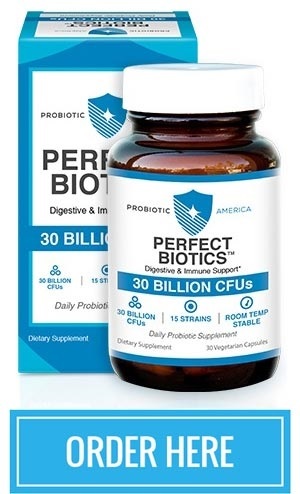 The key to a good probiotic experience is to find the product which best satisfies your own health needs, lifestyle regime, and personal preferences in terms of administration, the number of daily doses, etc. Currently, Lactobacillus Brevis is considered to be a safe probiotic for worldwide consumption. Even so, you should avoid active supplementation of this probiotic – and any other probiotic, for that matter – if you find yourself experiencing a weakened immune system, have undergone an organ transplant surgery recently, are taking immunosuppressant or anti-depressive medication, are pregnant or nursing, etc. The best course of action before making any changes in your dietary or medical lifestyle would be to consult with your personal doctor and decide together whether you are eligible for a Lactobacillus Brevis regime or not. The real question here is: why wouldn’t you choose Lactobacillus Brevis, to begin with? With all its gastrointestinal, immune, and general health benefits, it’s almost impossible to say ‘no’ to this probiotic! So, next time the chance arises, make an effort to include Lactobacillus Brevis in your day-to-day life! You will soon be glad you did! 1 Comment on "Lactobacillus Brevis"
I learned about Probiotics, particularly Lactobacillus brevis, from doctor David Permutter’s book “Brain Maker” and Probioticsmerica.